Phaistos was one of the most important palatial centres of Minoan civilization, and the most wealthy and powerful city in southern Crete. 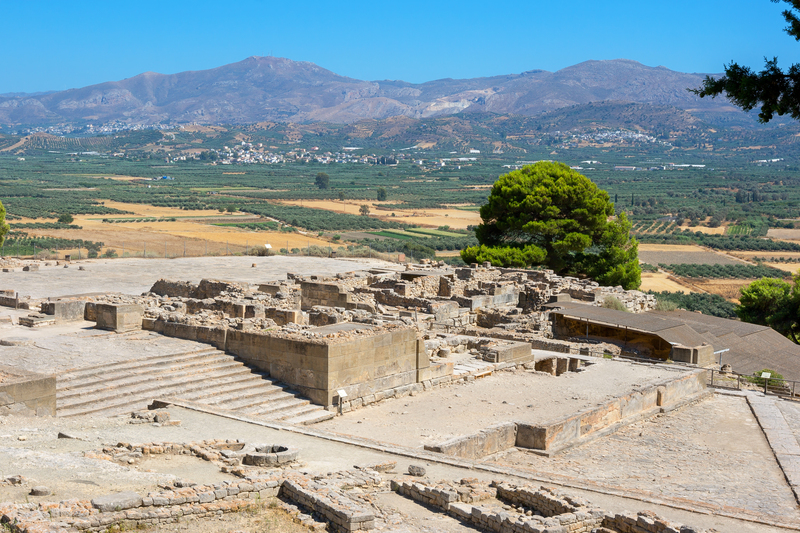 It was inhabited from the Neolithic period until the foundation and development of the Minoan palaces. 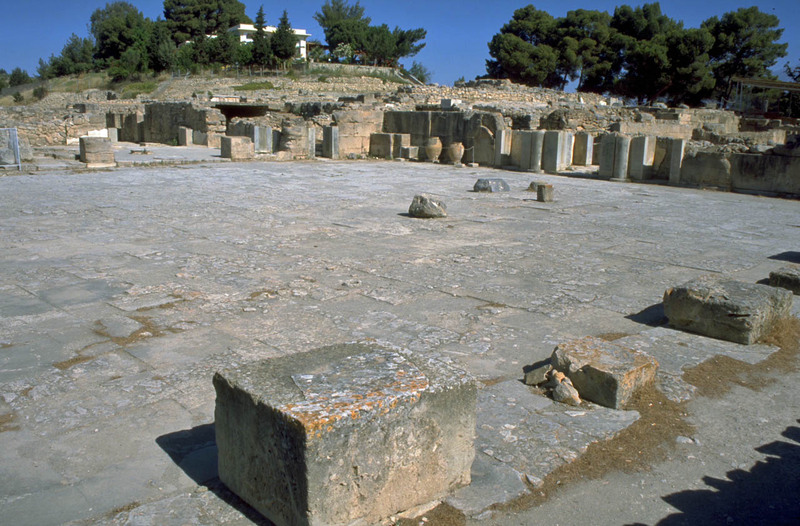 The Minoan city covered a considerable area around the palace. 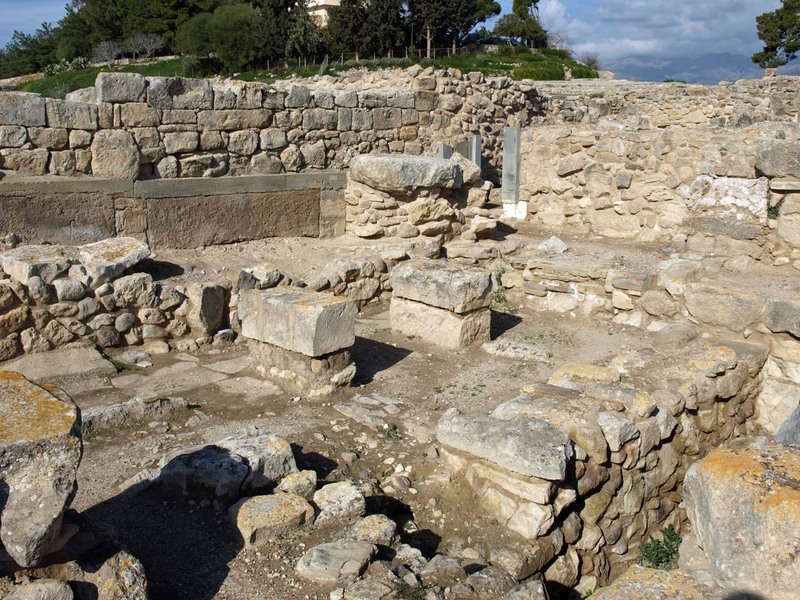 After the destruction of the palace in the 15th century, the city continued to be inhabited in the Mycenaean and Geometric periods, that is, until the 8th century BC. Later, the temple of Rea was built to the south of the old palace. The Hellenistic city was extremely prosperous; houses of the period are to be seen in the west court (upper terrace) of the palace. In the middle of the 2nd century BC it was destroyed and dominated by the neighbouring city of Gortyn. 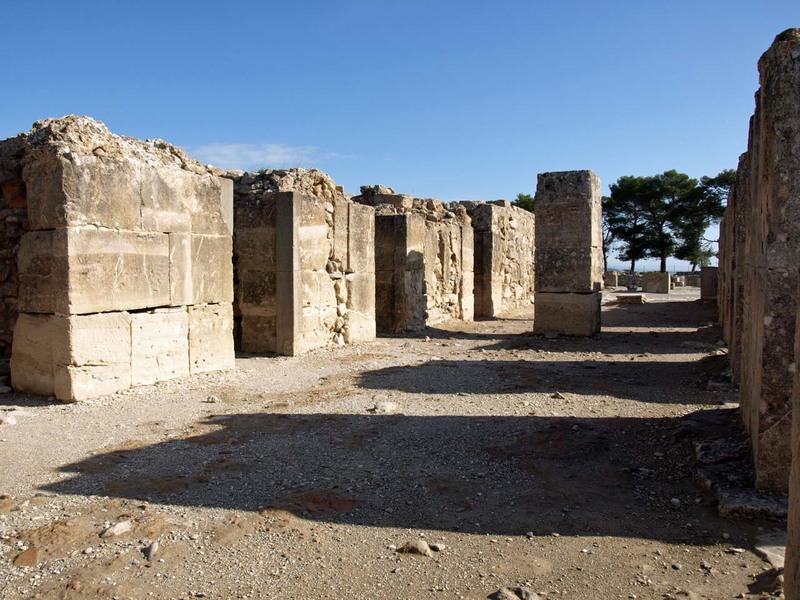 The Palace of Phaistos with its superb architectural composition and its almost perfect construction, is considered to be the finest and most typical of all Minoan palaces. The ruins of the old and new palace are preserved today, the former having been protected under a shed. The nucleus of the new palace is a central peristyle court around which the rooms are arranged: the storerooms and shrines on the west side, the royal quarters on the north and the workshops on the east. To the west of the storerooms is the "theatral area" with the "processional ways" and, in the lower strata, the granaries of the Old Palace period (first palace). The West Propylon, the monumental entrance to the palace, is the most impressive known structure of its kind, while large staircases facilitate access to the successive terraces. 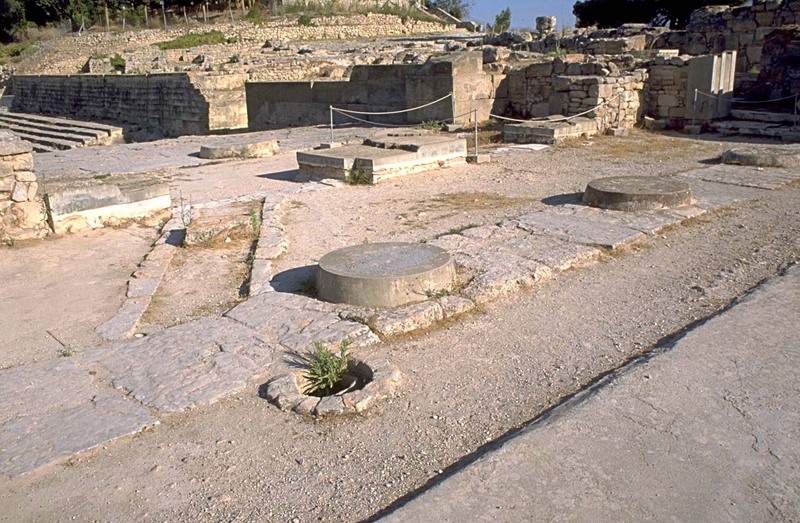 Like at Knossos, the first (old) palace was built at the beginning of the 2nd millenium BC (MM I period) and remained in use for about three centuries (2000-1700 BC). It was destroyed by fire in ca. 1700 BC. On its ruins a new palace was erected but was also destroyed in the mid-15th century BC (LM IB) along with the other Minoan palatial centres. The palace was abandoned thereafter and only some of its parts were occupied in the late Post-palatial period. In the Archaic period the temple of the Great Mother or Rea was built in the southern part of the old palace. The archaeological investigation of the palace started in 1884 by the Italians F. Halbherr and A. Taramelli. After the declaration of the independent Cretan State in 1898, excavations were carried out by F. Halbherr and L. Pernier in 1900-1904 and later, in 1950-1971, by Doro Levi, under the auspices of the Italian Archaeological School at Athens. Along with the excavations, consolidation work was carried out by the Italian Archaeological School. Some of the monuments, mainly the old palace and the royal quarters of the new palace, were protected under plastic sheds, while others, like the storerooms of the new palace, were covered with a concrete roofing.